I’m in nyc a lot, with most business done in midtown (and the Yanks in the Bronx). So why stay in TriBeCa? Cause this place just feels great. Staff that makes me feel like I’m coming home every time I check in. The smiles and personalities of Clarissa and Mei at the front desk are so warm and friendly, the rooms are great, and the value fair. The competence of this staff is second to none. One of the best downtown neighborhoods with all that TriBeCa has to offer and easy Access to the 1/2/3 and 4/5/6 trains make midtown close by. Stayed here for business for 2+ weeks - could not more highly recommend the hotel. Clarissa and Mei at the front desk are wonderfully friendly. Bar and restaurant are wonderful. Service is impeccable A+ all around. The accommodations and staff were exceptional. A great hotel with very nice amenities and reasonable rates in TriBeCa and one we will return to often. The standard king room was well appointed, room service was very good. The sitting area/lounge was large and comfortable and the restaurant service and food was exceptional as well. 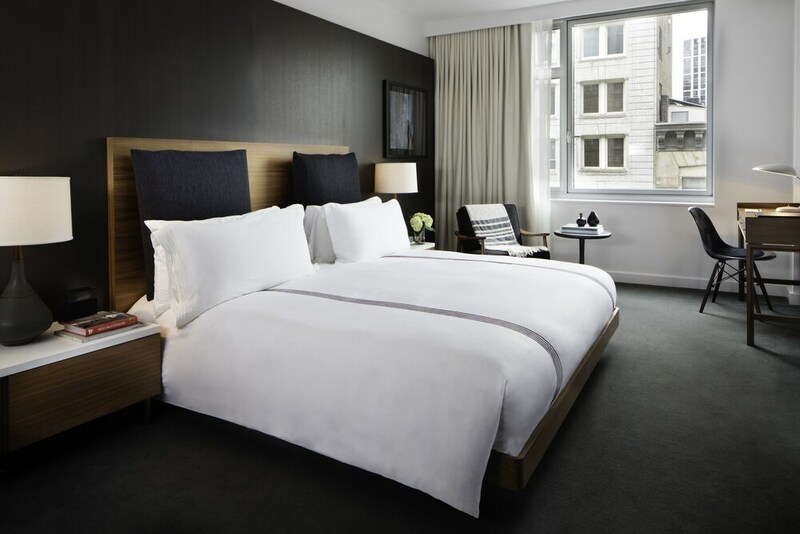 We were very pleasantly surprised at how much we enjoyed our stay at AKA Smyth Tribeca. The location is fantastic - a plethora of restaurants and bars and parks right nearby. And you can easily visit both the financial district and midtown from here. We've been to NYC many times, and this was one of our favorite areas. The hotel was also wonderful. Very nice, attentive staff, fabulous lounge area, and rooms are larger than many in the city, and very well appointed. We lacked for nothing. This hotel will be our new "go to" spot for our NYC visits. Great hotel, close to many restaurants & attractions and just overall a clean hotel. Check-in was a breeze, hotel staff (aside from the restaurant) was fantastic and customer-centric. Would definitely stay here again next time in NYC. Located in Financial District, AKA Tribeca is within a 10-minute walk of popular sights such as National September 11 Memorial and One World Trade Center. This 100-room, 4-star hotel welcomes guests with a restaurant, a 24-hour fitness center, and free in-room WiFi. Enjoy a bite to eat at Little Park, the hotel's onsite restaurant. For your convenience, a continental breakfast is served for a fee each morning from 7 AM to 10:30 AM. A Smart TV comes with cable channels and pay movies, and guests can stay connected with free WiFi. Beds are dressed in premium bedding and down comforters, and the bathroom offers a rainfall showerhead, a hair dryer, and designer toiletries. Other standard amenities include a refrigerator, free newspapers, and a safe. Weekly housekeeping is available. Renovated in 2015, AKA Tribeca offers a 24-hour fitness center, free WiFi in public areas, and a meeting room. Valet parking is offered for USD 60.00 per night. Multilingual staff at the 24-hour front desk can assist with dry cleaning/laundry, tours or tickets, and luggage storage. Additional amenities include express check-out, free newspapers, and laundry facilities. Little Park - Restaurant and bar specializing in American cuisine and serving breakfast, brunch, lunch, and dinner. Evening Bar - Cocktail bar. Recreation features at AKA Tribeca include a 24-hour fitness center.